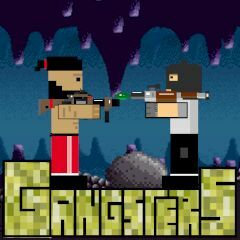 Get ready to deal with other gang on the street and pick up crates to get weapons and medkits. Use W and E to move and shoot, but click buttons so your weapons points enemies. Win rounds with at least one member of the gang alive and complete the level. Eliminate all shooters on your way.